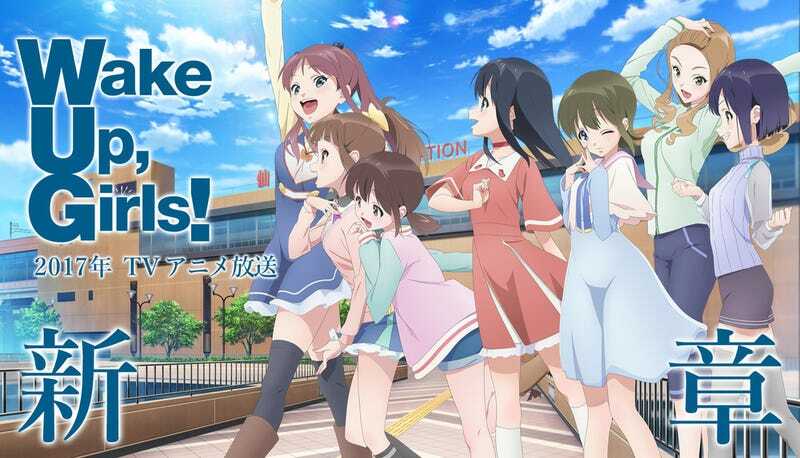 Filed to: Wake Up Girls!Filed to: Wake Up Girls! It will have a new Staff and new designs. During the “Wake Up, Girls! Festa 2016 Super Live” event it has been announced that the anime will have a new season in 2017. Most of the staff will be new though. Shin Itagaki (Teekyou and Wake,Up Girls! storyboard) will be the new director and Miyuki Sugawara is the new Character Designer. Millepenese will be the new Animation Studio. 3 new characters will join the already existing ones and the cast will be made.